Since its launch the Hubble telescope has captured a photo drama of Creation and a whole new world for man to explore as he faces self-destruction on planet Earth, says author Paul Hutchins. Hubble collects and transmits back to earth enough data each week to fill eighteen DVDs, or the equivalent of 3600 feet of books on a shelf. Over the past two decades Hubble has beamed hundreds of thousands of images back to Earth, shedding light on many of the great mysteries of astronomy. Hutchins states in his book that when you stitch all the images together it gives us a complete photo drama of how the universe and planet earth were formed. The book retraces the history of the telescope from Galileo, and is based on Hubble`s discoveries made over the past two decades. It chronicles how Hubble has photographed the greatest cinematic drama in human history, opening up a whole new world of exploration, while giving humanity a new sense of smallness in comparison to the universe. It details how nothing comes into existence void of imagination and how man has used his creative imagination in many wonderful ways for good, as in developing the Hubble telescope that has revealed an incredible universe. In sharp contrast, man has to often used his imagination poorly by developing industrialized inventions that pollute the planet and its atmosphere. 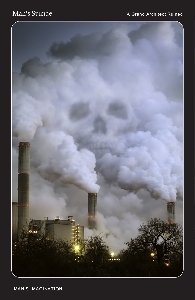 These inventions have now set us on a course of self-destruction by releasing over 30 Billion tons of C02 gas each year. Hutchins says "In the wake of recent super storms like Sandy the question we must face is; have we already passed the tipping point to where our children`s future is lost to a toxic and overheated planet created by our generation, through the poor use of imagination and self-gratification?" Albert Einstein once said "Imagination is everything; it is the preview of life`s coming attractions." Are life`s coming attractions a world where our children will be forced to wear gas mask just to go outside to play, with no hope for a better future? Can man stop this insanity and use his imagination to develop ways to reverse the damage before it`s too late? Hubble Reveals Creation by an Awe-Inspiring Power is a multi-award winning, fully illustrated, inspirational eBook. It contains over one hundred stunning Hubble images and will be available for FREE at Amazon Dec 7-9, and Dec 14-15.